Emma received her MM in flute performance under the tutelage of Marco Granados (flute) and her Licensure and Certificate in Dalcroze with master Dalcroze pedagogue Lisa Parker. 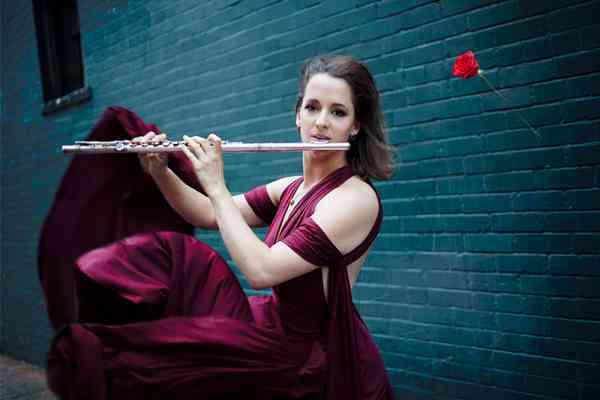 Her teachers include legendary flutist Robert Willoughby, and she completed her BM in flute performance as a student of Christina Jennings at CU Boulder. Emma received her BA in Ecology and Evolutionary Biology in 2012, and continues to be active in research around mammals and the effects of climate change on the Rocky Mountain Region.